Learning to surf in Aljezur, one of only a few small towns within the Costa Vicentina, isn’t for the faint-hearted – the water temperature of the Atlantic beaches can be very cold. But if you’re happy donning a wetsuit, the beaches and multiple surf schools of Aljezur make for the perfect place to learn how to surf. The surf enclave has a chilled-out vibe and the friendly locals are always up for a chat. After a day sunbathing or surfing at Arrifana Beach, head to O Paulo for sunset. The authentic, local restaurant serves up delicious seafood fare with killer ocean views to boot. If quaffing wine and picnicking among lush vines piques your interest, the stunning Douro Valley is a must. From April to October, the hills are quite literally alive as wine connoisseurs travel to the Alto Douro wine region to make the most of the balmy weather and magical UNESCO World Heritage Site. Go wine tasting first at Quinta do Vallado, a design hotel surrounded by a vineyard, then hop over to Quinta do Popa for more vino and a pre-ordered picnic basket of cheese, regional bread, roasted sausage, codfish fritters and more. 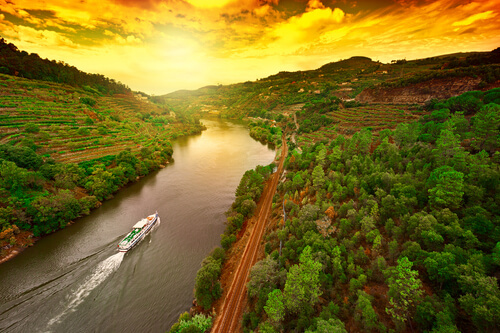 A boat cruise on the beautiful Douro River is the perfect way to end a perfect day. Not far from the border of Spain lies the stunning town of Tavira on Portugal’s Algarve coast. The picturesque town is loved for its cobblestone streets, domes, churches and Moorish architectural influences. No trip to Europe is complete without people watching in a sociable square, and Portugal does squares pretty well. 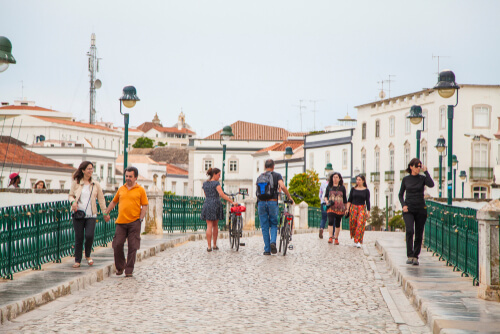 One of the best is Praca da Republica in the centre of Tavira’s Old Town. A swim at the emerald-green swimming hole and waterfall at Pago do Inferno is a must-do. Portugal’s chicest city is alluring, bustling and intoxicating all at once. 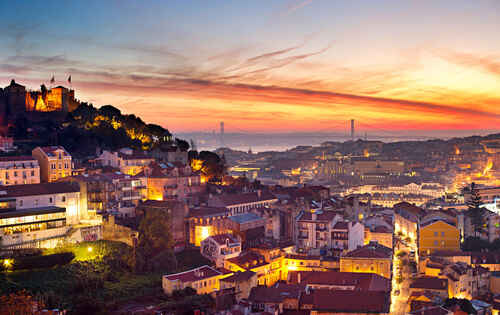 In terms of capital cities, Lisbon punches way above its weight in the food, wine, history, music and transport stakes. Ride rickety old trams up and down steep hills, stumble upon colourful murals and take a free walking tour to get a taste of the history – and that’s just the daytime. When dark falls, the city drops her veil and becomes a pulsating hub for nightlife. H10 Duque de Loulé is the place for a stylish pre-dinner drink while Lux, with its rooftop terrace and riverside views, is the place to dance. The coastline in Portugal is one of the best in Europe. Forget jam-packed pebbly beaches, Portugal’s sandy beach coastline is much like Australia’s. The perfect way to see all of it and more is via your own three or four-day self-drive itinerary, allowing you to stop a while in quaint towns and explore lesser-known beaches. Some of the best-kept secrets include Praia da Amoreira in the north-west of the Algarve, Zambujeira do Mar, and Porto Covo in Alentejo. It would be rude to visit Porto without sampling the very thing that received its name from Portugal’s second-largest city. A great way to see the city (before sipping vino all afternoon) is by taking a 6.3km one-way walk or run along the Douro River. 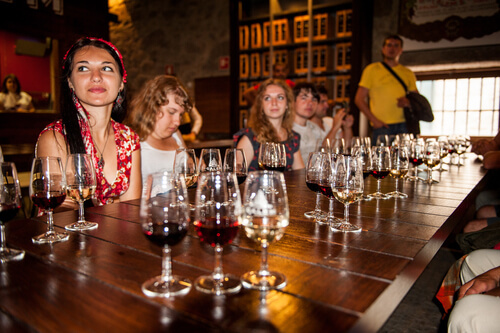 The majority of port producers including Graham’s Port, a family run business established in 1820, are on the Vila Nova de Gaia side of the river. A guided tour of the working cellar, Graham’s 1890 Lodge, is by appointment only, so book ahead. 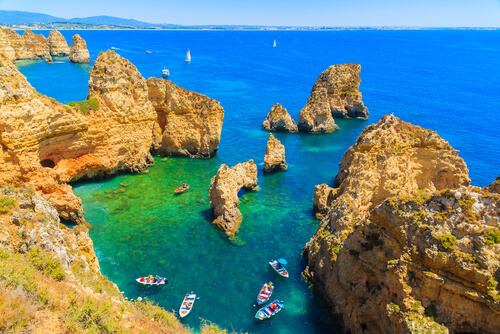 Picture-perfect Lagos in the Algarve is a haven for visitors thanks to its walled old town, sandy coves, aqua-blue grottos and charming, white-washed architecture. The town is home to some of the best beaches you will ever lay eyes on, many of which are nestled at the foot of a staircase and surrounded by looming limestone cliffs that rise up to 20m. 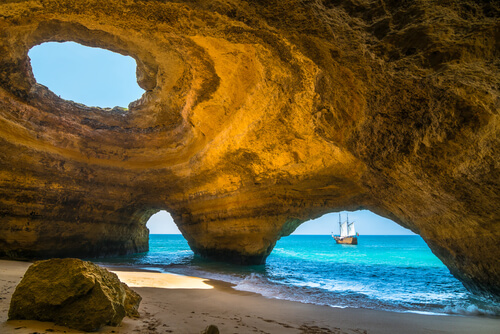 Must-see beaches include Ponta da Piedade and Praia do Camilo. The breathtaking town of Sintra has a magical quality about it. Lord Byron raved about it and lovingly penned a description of the town as a ‘glorious Eden.’ Fairy-tale like structures abound in the misty hilltop town. 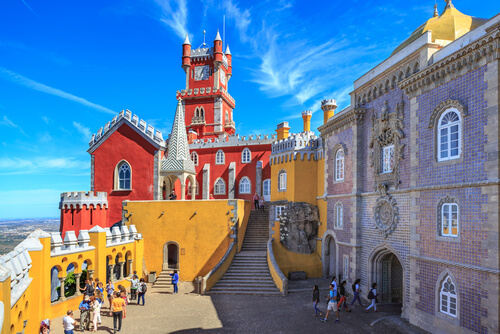 Sintra’s most famous sight is the multi-coloured façade of the Pena Palace, a notable example of Portuguese architecture in the Romantic period. After snapping your pictures, head into town to shop for everything from art, vintage finds and furniture to curiosity pieces, local produce and handmade ceramics. 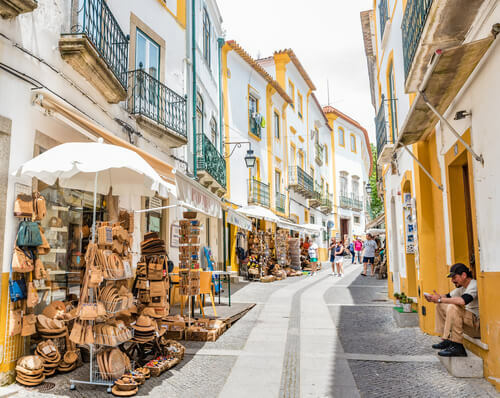 Located in Portugal’s Alentejo region, Evora is a UNESCO site famous for its Gothic and baroque architecture, wide streets and white-washed houses. The Cathedral of Evora, built between 1186 and 1250, is a fascinating piece of history while the Chapel of Bones, built from more than 5,000 skeletons, is an eerie yet amazing stop to add to your bucket list.